Enzo Ferrari remains one of the most famous residents to have called Modena home—and visiting car enthusiasts can learn more about his life and works during this museum trip. 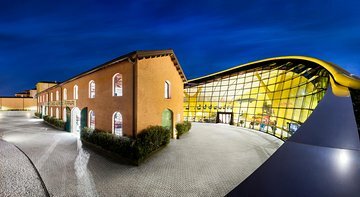 Book admission in advance to the Museo Casa Enzo Ferrari, which includes a modern pavilion, multimedia exhibitions, and houses Ferrari’s father’s restored workshop. Then, take a shuttle (own expense) to the Ferrari Museum in nearby Maranello, where you also have guaranteed admission.